I occasionally enjoy playing roleplaying games, such as Dungeons and Dragons. When the third edition of Dungeon’s and Dragons was released I was very enthusiastic about it, but not so about the latest fourth edition of the game. My largest problem with it was that it was a complete rewrite of the rules system, almost from the ground up. Consequentially, it was completely incompatible with prior editions of D&D. Nothing against Wizards of the Coast, but I was not happy with this decision. Gamers develop a library of game supplements and scenarios over time. 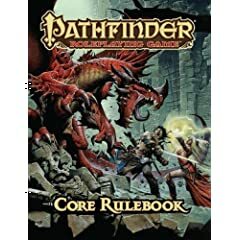 In previous editions of D&D, the new edition would make prior editions modules obsolete, but you could still change them over pretty easily or just do it on the fly. The new edition rewrote the power structure of the classes and engineered an entirely new framework to put character actions in. This rendered fourth edition incompatible with all previous incarnations of the game. Which meant that my whole library of game rules, scenarios, and supplements was declared obsolete. What was further aggravating was making this move only five years after the release of an update to their third edition (dubbed 3.5).